An easy butternut squash dip recipe: A dip made of squash, goat cheese, apple and nuts. This is a really simple dip that is perfect for fall. It’s made with butternut squash, goats cheese, roasted apple, sage and almonds. It has a hummus-like thick texture. 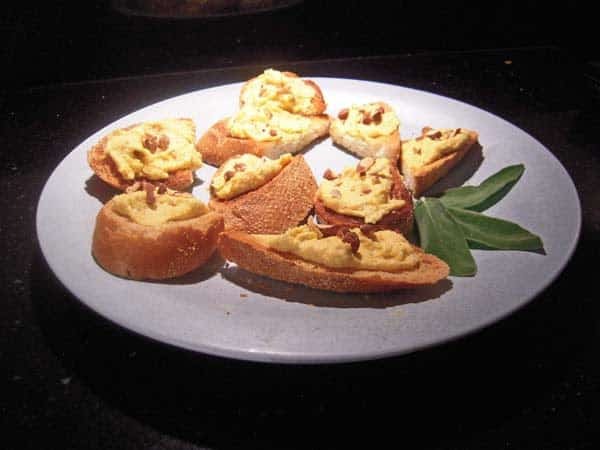 I love to serve it on toast that has been rubbed with the cut side of a garlic clove. Another thing you can do with this butternut squash dip is use it to stuff dates, following this method. These dates are great with or without the prosciutto, but do put a few grains of chopped nuts into each date along with the butternut filling. The fresh tang of the apple in this little appetizer pairs well with a glass of dry bubbly Cava. Alternatively, try a rich glass of Apothic Red Winemaker’s Blend. The touches of vanilla and mocha in the wine enhance the sweetness of the squash and the creaminess of the cheese. 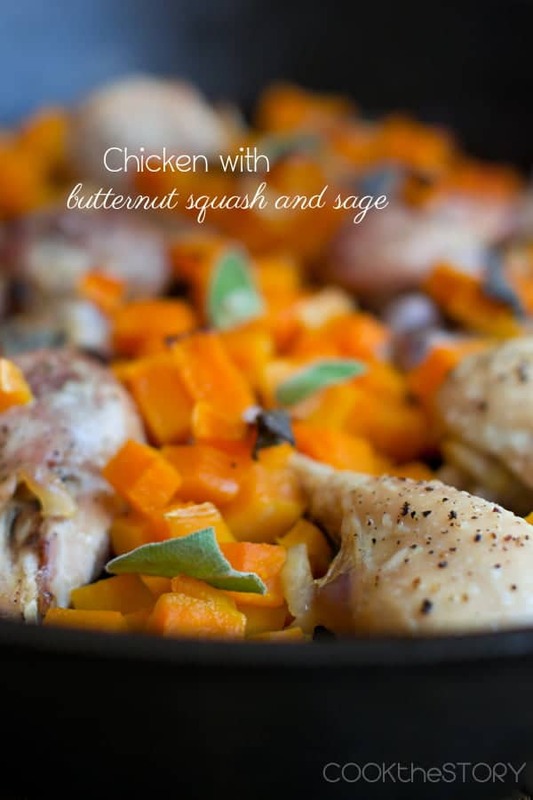 If you love butternut squash, you’ll also love another recipe of mine that’s for chicken baked with butternut squash and sage . This dip is crazy-simple and crazy-good with a hummussy smoothness and a sweet tanginess. 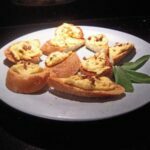 Serve it in a bowl along side some fresh slices of baguette or spread some on toasted slices rubbed lightly with the cut side of a garlic clove. Place a whole unpeeled 2lb butternut squash onto a baking pan that has an edge. Jab the squash deeply several times with a sharp knife. Place into the pre-heated oven and set a timer for 10 minutes. Toss the apple with 1 tsp olive oil. When the timer beeps, add the apple quarters to the pan containing the butternut squash. Roast until everything is lightly browned and soft to the touch, about 35-45 minutes more. Put the following into a food processor: the softened goats' cheese, the roasted apple quarters, sage leaves, 1/4 tsp salt, several grinds of black pepper and a large pinch of nutmeg. Blend together. Cut the squash in half lengthwise (wear oven mitts if the squash is too hot to handle). Scoop out the seeds and fibers and discard. Scoop the remaining flesh (but not the peel) into a bowl. You should have about 1.5 cups. Add the butter to the bowl of squash and mash with a fork until the butter has melted in. Add the buttery squash to the roasted apple mixture in the food processor. Puree until it is smooth and has an even creamy-peach color.